Today is the Twelfth day of Christmas, the eve of the Epiphany and the last verse of my rendition of the Twelve Days of a Green Christmas! Take a deep breath before you sing all 12 verses…On the twelfth day of Christmas my green friend gave to me…12 essential oils…eleven bags of mulch…ten qigong lessons…nine mystery plants…eight light bulbs…seven milkweed plants…a six pack of beer…five pairs of slippers…four chocolate bars…three holly trees…two vent fans…and a new doorbell! Whew! I barely made it through all 12 verses! I hope you were able to glide through the verses easier! What a way to wrap up the Twelve days of a Christmas…12 essential oils! My green friend knows I like to eat “green”, clean “green” and medicate “green” and this arsenal of essential oils will put me well on my way to a healthy New Year! Essential oils are highly concentrated and many should not be used full strength or taken internally without knowledge of the proper way to administer these oils. Some should be mixed with “carrier” oils like coconut, almond or jojoba or for a cleaning solution, vinegar, water or hydrogen peroxide. You can search these oils online and find helpful “recipes” to experience some of the benefits of a particular oil. If you have used an essential oil for your wellness and had good results I would very much like to hear about your experience in the comments below. Eucalyptus Oil – Benefits: antibacterial, pain relief, dental health and stimulating immune system response. Uses: orally for pain and inflammation of respiratory tract mucous membranes, coughs, asthma, bronchitis, sinus pain and inflammation, and respiratory infections. It is also used as an antiseptic, insect repellent, and treatment option for wounds, burns, and ulcer. Tea Tree Oil – Benefits: Acne, Fungal Infections, Bacterial Infections. Uses: toothbrush cleaner, mold treatment, laundry freshener, natural pest control. Calendula Oil – Benefits: skin conditions, inflammation, baby care, minor cuts and wounds. Uses: helpful in treating skin conditions such as acne, ulcers, bed sores, varicose veins, rashes and eczema. It also helps soothe sore, inflamed, and itchy skin conditions. Also used in cooking an as a natural golden orange dye. Oregano Oil – Benefits: immune system support, anti-fungal, antibacterial, upper respiratory infections, anti-inflammatory. Uses: cooking, sinus infections, colds, treat infections or parasites, athlete’s foot, nail fungus. Geranium Oil – Benefits: astringent, anti-bacterial, anti-fungal, antioxidant, improves blood circulation and clotting, detoxification, fragrance. Uses: helps treat acne, sore throats, anxiety, depression, insomnia, uplifts mood, lessens fatigue, insect repellent, pain reduction and food/drink flavoring. 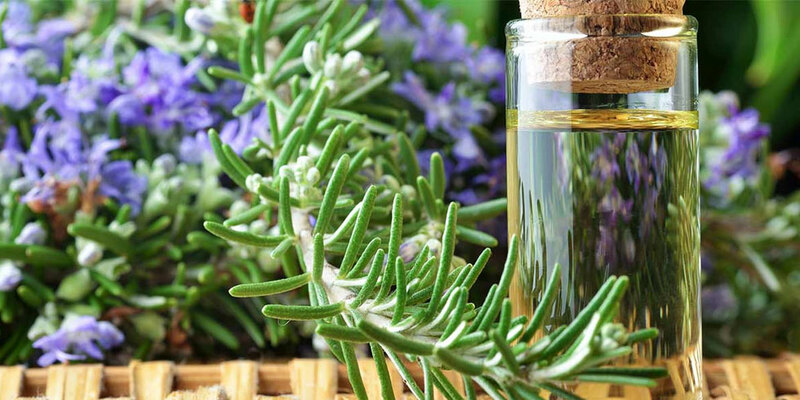 Rosemary Oil – Benefits: indigestion, stress relief, pain relief, immune system boost, respiratory problems. Uses: clarity, cough, headaches, learning and memory, vaginal infections, bath oils, mouthwash, perfumes, candles and removing dandruff. Lavender Oil – Benefits: relieve pain, treat skin disorders, improves digestion, relieves respiratory disorders, improves blood circulation, keeps hair healthy, mosquito repellent, stimulates urine production. Uses: aromatherapy, massage, added to bath, inhaled or vaporized, used as a compress. Frankincense Oil: Benefits: arthritis and rheumatoid arthritis, cold and respiratory disorders, oral health problems, digestive disorders, uterine health. Uses: inhaled or vaporized, reverse signs of aging, reduce appearance of stretch marks and scars, strengthen gums and hair roots, stop wounds from bleeding, speed up healing of cuts, burns, insect bites and boils. Borage Oil – Benefits: Rheumatoid Arthritis, periodontitis, skin conditions, multiple sclerosis, Alzheimer’s Disease. Uses: relieves cramping and pain, eases respiratory disorders, reduces stress and high blood pressure. If this is the first post you have read of my green rendition of the Twelve Days of a Christmas and you can’t figure out what the heck I have been writing about or why I have been writing about the Twelve Days after Christmas, click here to read how this all began. If you’ve been with me through all 12 verses I want to thank you for reading my green rendition of the Twelve Days of Christmas! I enjoy writing these 12 posts not only because it’s fun to come up with an item that fits the verse but each verse means quite a bit of research so I end up learning so much myself! I do hope you also have learned something from one or several of my posts. I hope to see you Christmas 2017 for some new verses of the Twelve Days of a Green Christmas! Next ›Florida’s Newest GREEN Designees And USGB Members!